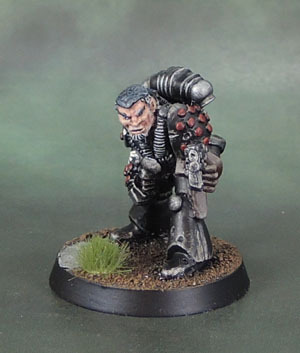 RT101 “Brother Napier”, Fallen Dark Angel – 40k Rogue Trader (1988) | Azazel's Bitz Box. I’ve recently painted the second of my “Oldhammer” style Fallen Dark Angels. “Brother Napier” this time – as named in the old catalogue. Unlike many other models, this guy wasn’t really started. Having some black on the model doesn’t really count as part-painted, unless I’m doing a drive of “only finishing models that have been started in some way”, but either way I needed to re-prime him anyway. For his markings, I’ve applied some really old (RT-era, natch) transfers. I could have tried to freehand, but I do like my chapter iconography to be perfect. He’s rocking the old-school RT-sergeant’s stripes on his pauldron, which I did colour-fill from the transfer’s original plain white. Full chapter bade on his (understated by today’s standards) powerfist – power glove in those days! Something I really noticed on this figure is just how easy it was to paint. Seriously. Black armour, a grey lining, then careful sort-of drybrushing on wear points and the odd thin line for scratches over the armour. Really quick and easy, and it looks effective. Just got to keep the messiness looking neat and focused rather than like the model’s simply been randomly drybrushed with silver. I likely will continue to keep most of my marine models “clean”, but I’ll retain this colour scheme across all of my Fallen and it should be a doddle to get the painting done while giving them a unique look amongst all my power armoured models. What’s not old, scratched-up armour is a dark brown leather. A less-glowing skin tone with some scar tissue and requisite 5-o-clock shadow, and black-to-greying hair completes the look. The greying sides is a particular note to the original Brother Napier. Since I only have the pair of these done so far, I thought a 2-shot was in order. Both of these guys have rather hunched postures, something that was common to the original RT-101 line. I’ve got a few other original metals to allocate here and there. The hardest part is working out which ones to use in which army. 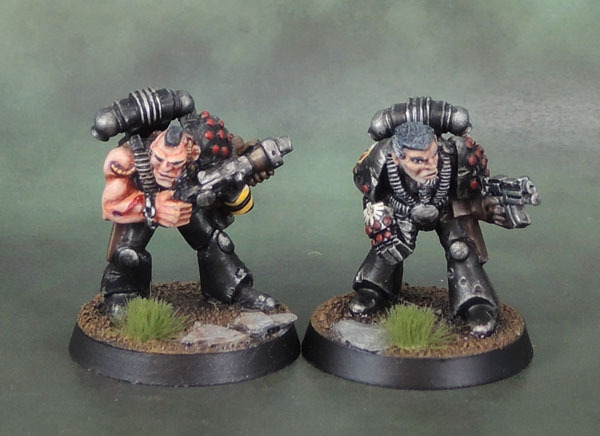 I’d love to set up a full squad of RT-101 marines for The Fallen, but I’ve got a couple of them earmarked for Legion of the Damned and Iron Warriors, as well as my RT-inspired Crimson Fists project. There’s just not enough to go around – I need some more old metal beakies! 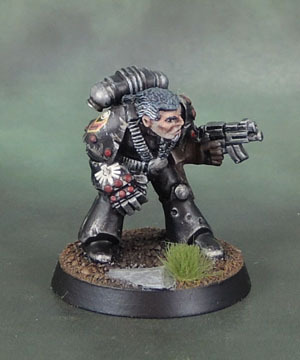 This entry was posted in 40k, The Fallen and tagged Brother Holt, Fallen Angels, Fallen Dark Angels, Oldhammer 40k, Rogue Trader, RT101 Space Marines, The Fallen. Bookmark the permalink. ← Making a Cemetary – Part 1: Renedra and Grendel Graves. “I need some more old metal beakies!” — who hasn’t found themselves saying this before!? Great work on that model, very nice. You’re not wrong! I should have picked up a bunch of them a few years ago when they seemed to be everywhere! Really nice. You say easy to paint but I think your skills make any paint job seem easy. Lovely job mate, and kudos on the transfers!! Thanks Alex. They do their job nicely. These look great! 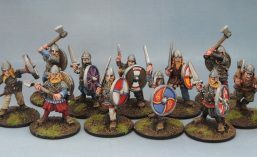 And so imposing on the modern 32mm bases. Is his beard on the sculpt or is is something you added yourself? 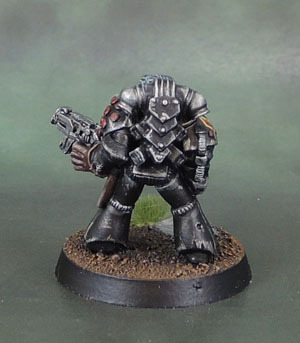 Pingback: C100 Space Marines “Capt. 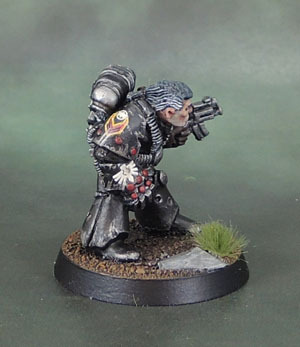 Huron Grimm”, Fallen Dark Angel – 40k Rogue Trader (1988) | Azazel's Bitz Box.